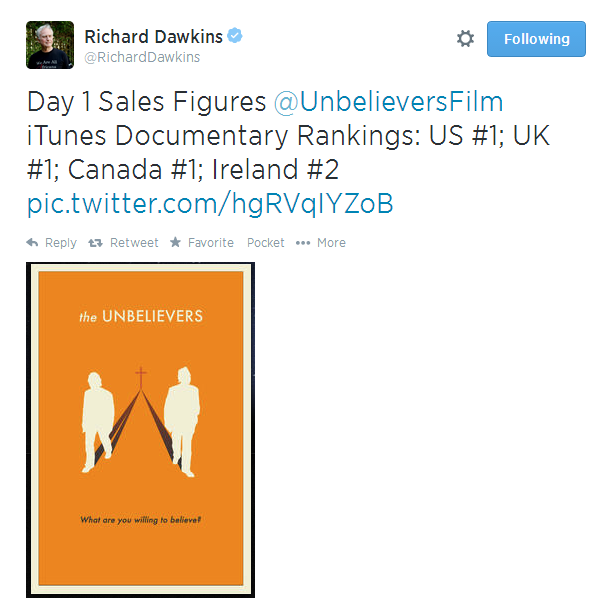 Lawrence Krauss to Debate William Lane Craig – Thank You, Australia! Krauss of course is director of the Origins Project at Arizona State University, a respected physicist (there were Nobel rumblings at one point), and more recently a vocal advocate for scientific literacy. Along with Richard Dawkins, he will be the subject of the upcoming documentary, The Unbelievers (see Richard’s reason for not debating Craig here). William Lane Craig (or WLC) is a philosopher, theologian, and popular Christian apologist (though popular mostly with the public, not so much intellectuals – see post here). He also has a somewhat well-deserved reputation as a formidable debater. The two have gone head to head before, but I think Krauss clearly “lost” in terms of style. You can watch the whole thing here, but be warned the audio quality is poor. Krauss is much too loose, informal, unprepared, and at times discusses scientific concepts in far too much detail to get his point across. That said, he’s gotten much better (I think this was one of his earliest attempts at debating a theologian), and you can watch a more recent debate here (Intelligence Squared) and his fantastic Science of Storytelling series here (featuring Bill Nye, Neil DeGrasse Tyson, Richard Dawkins, and Brian Greene, among others). I’m not sure who’s the favorite in this match-up. Looking solely at the last time they debated, I’d be forced to go with WLC, but if the format is informal, as Krauss prefers and WLC dislikes, then it could be very interesting. Directly below is a debate WLC had with philosopher Shelly Kagan, in which he looks more uncomfortable than ever because of the conversational style of the latter half. And directly below that video is a debate where Krauss got a little angry (they tried to segregate women and men in the audience at the start of the event) and took it out on poor Hamza Andreas Tzortzis, repeatedly calling attention to his ignorance of science and mathematics. Here’s looking forward to August!